Lugano. What picture does it conjour up for you? Happy children on roller blades with their fathers running after them, cool teenagers on skateboards and mothers pushing strollers. Swiss German tourists who savour the delicious local ice cream, older couples seated on a bench and girls in their favorite, light summer dresses. Off in the distance, people dancing salsa two feet from the lake, break dancers turning on their head in the middle of a crew under the portico and a flux of people going in and coming out of the city park. Young men in bright shirts who flirt with young women in high heels over a mojito prepared by a good-looking bartender at a Mojito bar opened especially for the occasion. This is what the lakefront of Lugano looks like in summer, when the street is closed off to the traffic and fills with life. 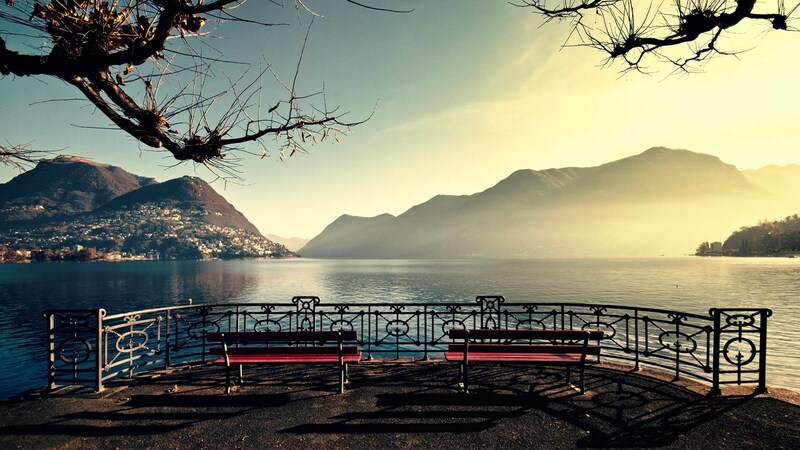 Every summer from mid June till the end of August, the city hall organizes the closing of this street that runs along Lake Lugano from Via Adamini till Rivetta Tell, where the city park, known as “Park Ciani” begins. The street, which is almost one kilometer long, is “pedestrian only” Friday and Saturday evenings as well as eves before any non-working day. If you are in Lugano in that period of the year, you mustn’t ignore this part of the city and you won’t be able to resist. 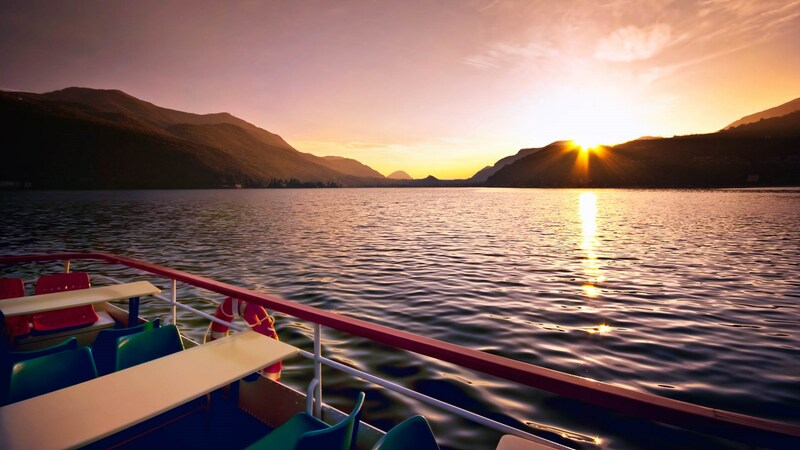 Whether you are in Lugano because you live there or because you are on holidays or traveling for work, the lakeside is something you should see, experience and enjoy. In recent years, in this beautiful lake’s scenery has taken place the LongLake Festival. Last summer, enriching the event with it’s 7th edition’s program of more than 500 events and about 350 thousand people. During the 35 days this festival, everyone could find something for his or her taste. The city became a big plaza for a huge spectrum of events, from live music to theater, with performances of magical street artists with cinematographic moments as well as dancing ones, a diversity of offers for families such as urban art to activities directed especially for children… you really couldn’t get bored! The LongLake Festival created in this such a way to be considered one of the most intense open air urban festivals, hosting artists of the international scene and names known locally totaling more than 700 artists from all over the world. Another pearl in the necklace of Lake Lugano’s events is the famous Estival Jazz festival, whose 39th edition took place last summer from the 6th of July through the 8th, in the heart of Lugano, within one of its most significant squares, Piazza della Riforma. On a stage framed by ancient and beautiful buildings, international musicians played in front of a large crowd while caressed by the summer breeze. Last summer the audience ha the opportunity to attend 15 concerts at no cost. The open air Estival Jazz is, without a doubt, the feather in the cap of all the musical events organized in the region. Another big event that happens on the along the lakeside of Lake Lugano is the celebration of the Swiss National Day on August 1st. People come from all around to admire the wonderful fireworks that keep everyone, from the youngest to the oldest, with their nose in the air gazing at the beautifully lit night sky. It’s impossible to resist becoming fascinated by the show that attracts thousands of people. If the crowds overwhelm you, there are plenty of more enjoyable places where viewing is possible from a slight distance. 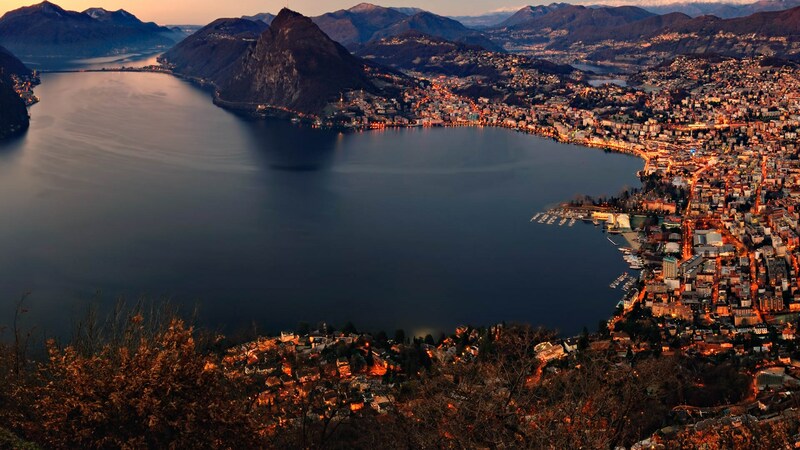 The best known spot is probably San Michele Park, from which you can see the Lugano bay and the whole city. 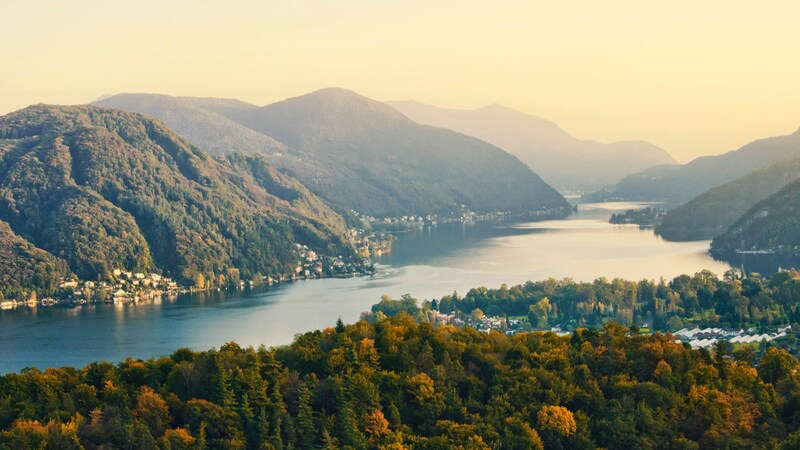 Lugano and its lake make for one of the most beloved touristic summer destinations in Switzerland and once you are there, you’ll sense it’s magic and understand why.